Even zombies realize the importance of using their brains—when they’re not eating someone else’s. That’s why there’s the Classical Academy for the Undead, where little zombies can learn their three R’s: ripping, rending and rampaging. Students learn crucial skills that will prepare them to be the next generation of monsters, from perfecting a jerky shuffle in P.E. to crafting the perfect growl in speech class. 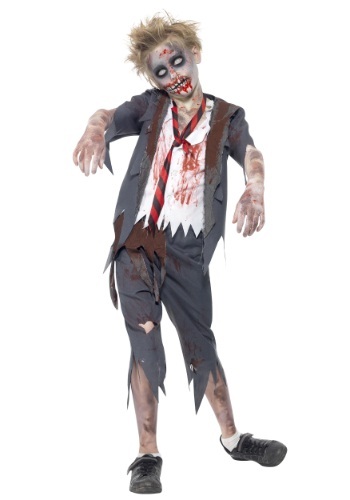 There are also plenty of extracurricular activities for zombies who want to explore different interests. A whole slew of sports are offered, from track and field (the team is especially good at long-distance runs) to basketball. Last year, the Grinning Ghouls football team even took first place at the regional conference. 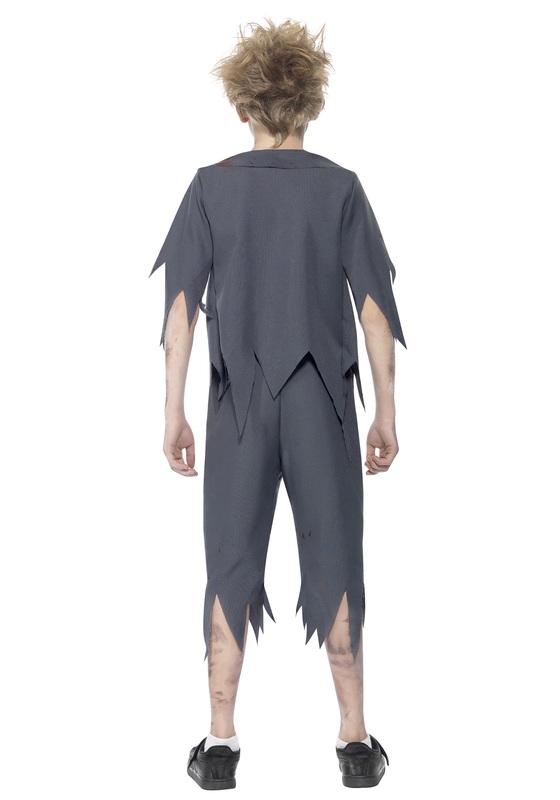 Is your little zombie not interested in athletics? That’s just fine—the Classical Academy also has Art Club (their finger paintings are particularly expressive), Science Bowl and a yearly dramatic performance. Last year’s production of “Death of a Salesman” was sold out every night. In short, the Classical Academy for the Undead has everything your zombie needs to grow into a successful member of the undead society. So enroll today! 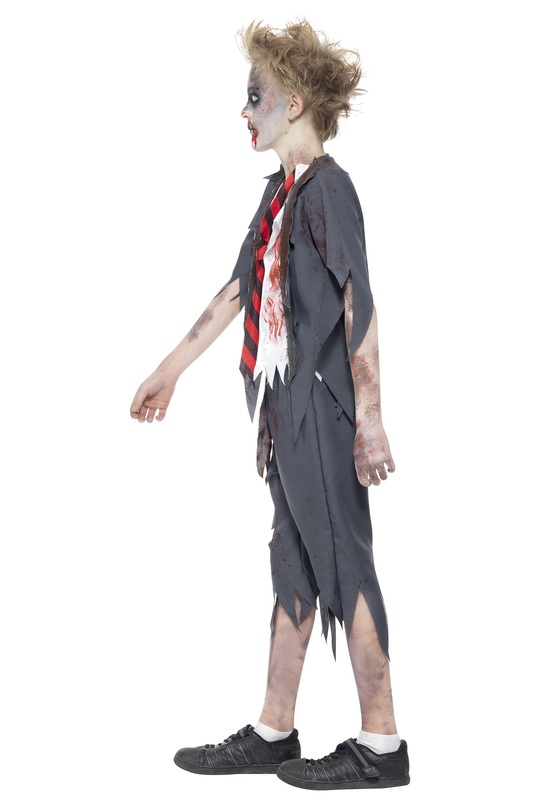 And while you’re at it, pick up a standard Zombie Boy School Costume uniform for your zombie so he can really feel like one of the horde. At the Classical Academy, we understand the need to look sharp but stay comfortable while pursuing your next meal. For this reason, every student is expected to arrive to class wearing a professional-style dark gray blazer and matching dark gray trousers, along with a white undershirt and black-and-red striped tie. Whether they’re addressing the student body or shuffling through the woods after fresh meat, our students do it with style.